Hello and Welcome to Scott Morgan Johnson Middle School!! I couldn’t be more excited about starting my 11th year as Principal at Johnson Middle School. I feel honored to be a part of such an AMAZING school and community full of tradition and passion for kids! I LOVE being a SJ Tiger! Nothing makes me happier than seeing the bright smiles on students’ faces as they walk in the door each day!! 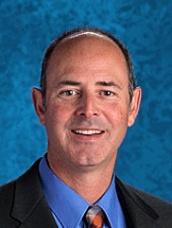 I have been an administrator for the last seventeen years, serving as an assistant principal at Wylie High School, as the principal at Commerce Middle School and the principal of Commerce High School before coming to Scott Johnson. Over my 27-year career in education, I have had the honor of serving the students, teachers and communities of the Waxahachie, Timpson, Mesquite, Wylie, Commerce and McKinney Independent School Districts. I received my Bachelors of Music Degree from Stephen F. Austin State University in 1991, my Masters in Educational Leadership from Texas A&M-Commerce in 2003, and my Doctorate from The University of North Texas in Educational Leadership with an emphasis on curriculum and instruction. Before being named the principal of Scott Johnson, I was honored to serve as a music educator for eleven years. During my career as a music educator, my bands consistently received superior ratings in Texas UIL Contests and placed in the Region and Area level of the UIL Honor Band process. Additionally, my band programs regularly competed in the Texas State Marching Band Contest and the National Association of Military Marching Bands Contest. While I have been the instructional leader of Scott Johnson Middle School, the school has been recognized by the Texas Business and Education Coalition as an Honor Roll School (2008), by AVID as an AVID National Demonstration School (2013) and an AVID Schoolwide Site of Distinction (2015), by the National Association of Secondary School Principals as a MetLife Breakthrough School (2014, 2017), and by the Nation Forum and through the U.S. Department of Education as a Schools To Watch Campus (2016). I am married to Valerie Curry who is a String Orchestra teacher at Ford Middle School in the Allen Independent School District and we have two boys Cole (15) and Cooper (11). We have been proud members of the McKinney community since 2009. ​We have big plans for the 2018-19 year at SJMS as we are The Merchants of Hope for our Tiger Community!! We are carrying the banner for our students, teachers and community and we will be the Champions for ALL of our students!